It’s all about the dollar on today’s canvas, as I bring to you hot short-term forex trade setups on USD/JPY and USD/CHF. Check ’em out! Remember that trend change that we spotted a few days back? Well, it looks like it played out pretty well! 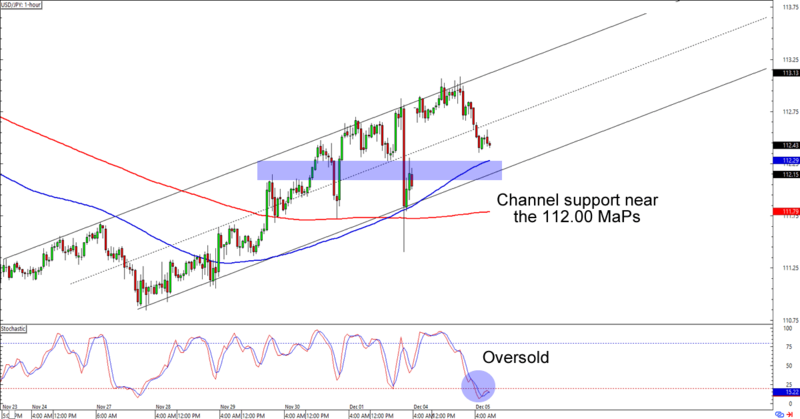 This time around USD/JPY is headed for the 112.00 major psychological handle, which is near the rising channel support AND 100 SMA on the 1-hour time frame. Stochastic is already in oversold territory, so y’all can bet yo momma’s cat that other bulls are already watching this trend. Think we’ll see the dollar bounce against the yen? Buying near the 112.00 area could give you a decent reward-to-risk ratio especially if you believe that the scrilla would make new monthly highs against the yen. Don’t keep your stops too tight, though, as yen pairs like these tend to be more volatile than your average currency pair! Here’s another one for trend warriors out there! 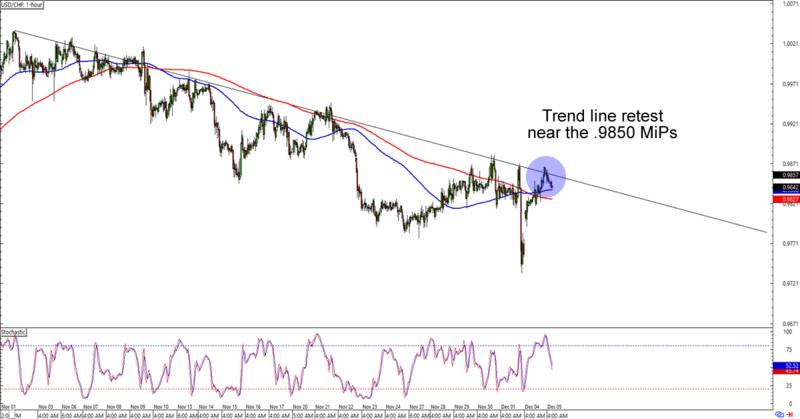 USD/CHF is having trouble breaking above the .9850 psychological handle, which isn’t surprising since the level is right smack at a falling trend line resistance on the 1-hour chart. Stochastic has already left the overbought region, so we might see a bit more consolidation before the pair chooses a direction. Question is, which way will it go? A move below the .9815 level would open up a path for the bears to target the previous lows near .9750. On the other hand, a break above the falling trend line would pave the way for the bulls to target the .9950 area of interest. Whichever bias you trade, make sure you practice good risk management decisions, aight?